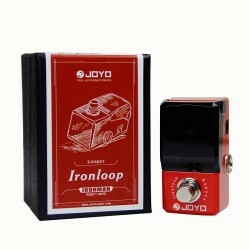 R-06 JOYO O.M.B Looper and Drum Machine is a one man band in a box featuring Looper and Drum Beats. 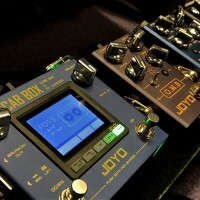 The JOYO OMB (One Man Band) guitar pedal features a 40 minute looper for cycle recording, an independent drum machine / pattern mode and a combined LOOPER + drum mode. 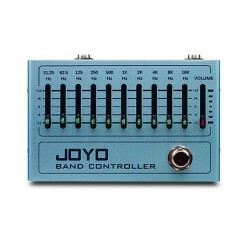 The looper mode has an auto-align function and features stick count-in for your first recording. The 40 minutes of cycle recording time is more than plenty, with unlimited overdub recordings you can add additional layers, undo and redo to your hearts content. In drum machine mode, you can choose 7 genres of drum pattern with 7 different drumbeats in each, there are plenty of beats to select from. 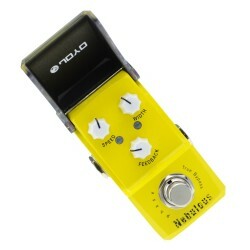 The tempo of drum patterns can be set up by using the Tap tempo button and the LED of the pedal flashes with the beat. What’s more, O.M.B will sync your recorded loop to the drum groove pattern. With drum pattern options of Pop, Rock, Blues, Metal, Punk, Jazz and Latin there is plenty to select from. 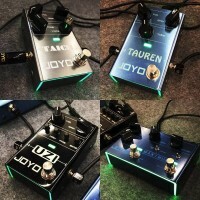 Use the JOYO OMB as a stand alone looper, use it as a drum machine with tap tempo to jam along to, the OMB will be a favourite for sole performers and for practice sessions. 'Always' - The lights are always on, but the pedal is only activated when you press the footswitch and the LED effect indicator comes on. The OMB ambient lights flash in tempo to the drumbeat. Looper Volume, drum Volume, Drum Genre, Drum Pattern, Mode selection Looper/Drum or Looper & Drum. LED Effect indicator - On when the footswitch & pedal are active. Price performance rate is good . 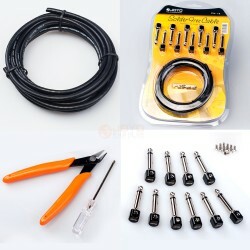 I liked R06 OMB !..